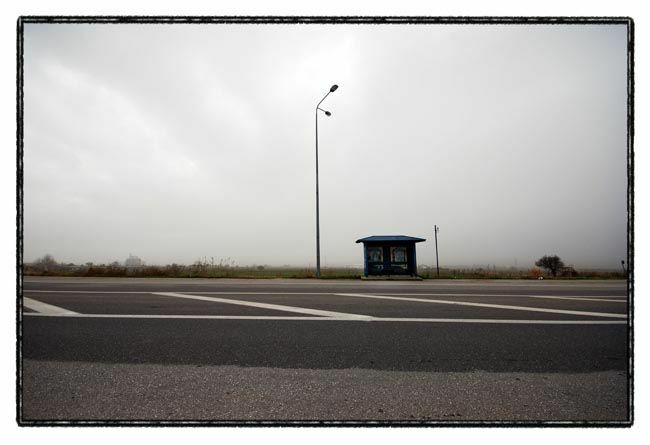 yiannis krikis (thessaloniki, Greece) on 24 May 2009 in Transportation and Portfolio.
" simple" and very strong picture! Like it a lot!!! Waiting ... and waiting again. It looks so lonely there. Cool. Wonderful, the low angle works so well. i love this - very sparse, lonely. Love the simplicity, and the frame you have put around this image. Great composition. this is nice - the soft sky and that building or factory in the background. Agree with Steve about the lonliness. The seemingly small structure next to such a tall street light and occupying a small portion of the frame gives it a sort of absurd (but in a really good way) feel, too.